Where should I register on August 17th? The Symposium registration desk is at the Grafton Street entrance of Holland College, in the Charlottetown Centre building. Please refer to this map for details. Who will be attending the 2015 Symposium on Child and Youth Mental Health? The Symposium will attract researchers, policy makers, advocates working in multiple sectors (such as education, health, justice, child and family, or community services, non-profit and private sectors), parents, caregivers, youth and members of the general public who are promoters of positive mental health. Can I receive a list of participants in advance? No, but registered participants will receive a participant list as part of their event materials. How will I benefit if I attend? The goal of the Symposium is to build on evidence to influence and mobilize decision makers from grassroots to government to improve the mental health and well-being of Atlantic Canadian children and youth. Participants will benefit from collaborative learning, networking, and follow-up activities planned by ASI to continue throughout 2016. How is a Symposium different from the usual ASI summer programming? The Symposium will present a snapshot of mental health in Atlantic Canada and the latest research from the event partners: The Canadian Mental Health Association; the Socially and Emotionally Aware Kids (SEAK) Project, and Atlantic Canada Children’s Effective Service Strategies in Mental Health (ACCESS-MH). Delegates will have the opportunity to choose from a number of concurrent workshops related to their areas of interest. How many people are expected to attend the Symposium? We are expecting that approximately 175 people will attend. Can my child attend the Symposium with me? Yes! We believe in inclusion and reducing barriers to participation, so we offer a free, hands-on, engaging program for children of registered participants. This program is carefully designed for children ages 3-14 and is staffed by early childhood educators and/or qualified teachers. Opportunities to participate in both official languages are available. Click here for more information. Is it possible to attend only one day of the Symposium? The Symposium is designed to move people to action by the end of the program; therefore, we ask delegates to register for and attend the full program. The registration fee includes lunch and nutrition breaks on August 18 and 19, as well as a multicultural dinner on Tuesday, August 18. I don’t have a credit card. How can I register? On the registration form you can ask to be invoiced. After July 31st you may pay by cash or cheque. Yes, as long as the event is not sold out we will be accepting registrations on-site. Payment by cash or credit card will be accepted onsite. Please contact us to confirm whether space is still available. Phone 902-894-3399 or email info@asi-iea.ca. The Symposium registration desk is at the Grafton Street entrance of Holland College, in the Charlottetown Centre building. Can I be invoiced for my payment? Yes. On the registration form, select the number of registrations you would like then click ‘show other payment options’ under the ‘Order Now’ button. Then click the ‘Pay offline’ button. You can pay by invoice until July 31st. Cancellations received in writing prior to July 31, 2015 will be charged a $50 administration fee. Cancellations after this date will not be refunded. Requests to send a replacement delegate will be accepted with a request received in writing from the registered participant(s). How do I make reservations for my accommodations? Visit the accommodations page on our website to view the locations offering a special rate for the Symposium. How do you handle special needs and requests? On the registration form, you may indicate any dietary or other needs. We regret that last minute requests on-site may not be accommodated. Yes, there is limited street parking and Holland College has parking lots close to the campus most of which are free. More information will be available at the registration desk. Please refer to this map for parking. 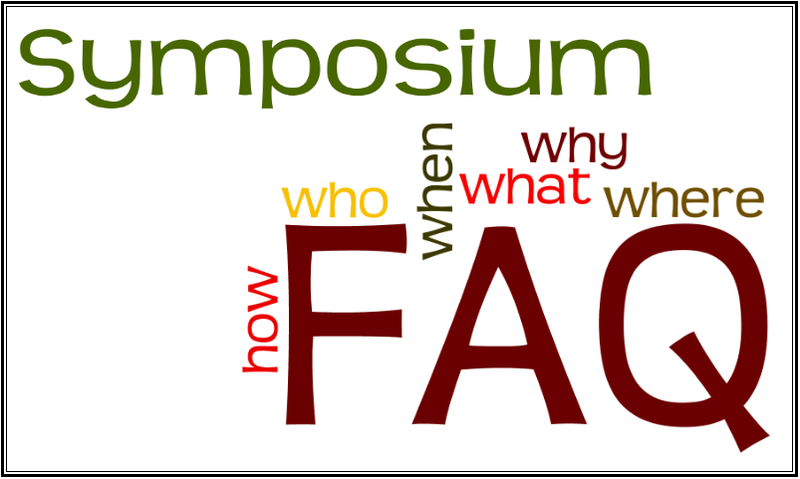 I am interested in sponsoring the Symposium or advertising at the Symposium. Whom do I contact? We welcome sponsors and partners on many different levels. Please contact Kirsten McKnight at info@asi-iea.ca to discuss how we can work together. For more information about the organization hosting the Symposium, please visit our FAQ about the Atlantic Summer Institute on Healthy and Safe Communities.